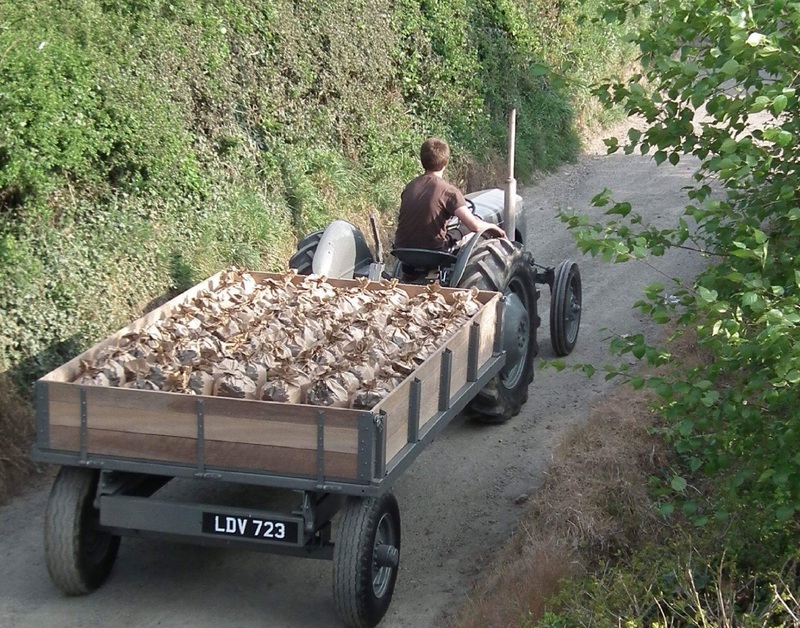 This Following story comes courtesy of Mr Tim Webb from Devon in the United Kingdom. 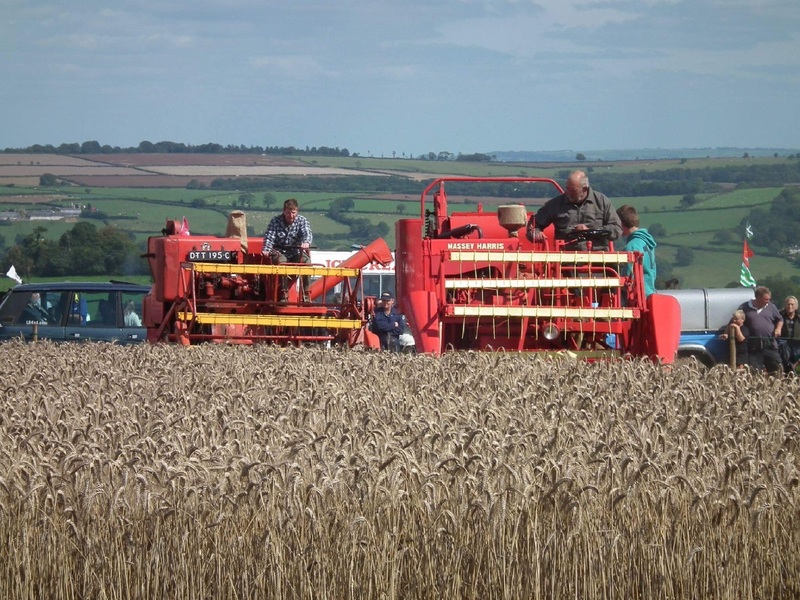 Tim has been heavily involved in all aspects of agriculture all of his working life, from working on large arable estates in Wiltshire to buying his own dairy farm and supplying milk from his prize herd for many years. However as the agricultural industry in the UK went through massive changes during the last two decades Tim was one of thousands of Dairy farmers who decided with the very poor returns to diversify and grasp the challenge of earning a living another way but still retaining his farm. So Tim worked hard and set up a touring park for caravans and holidaymakers who flock to this part of the country every year and experience the beautiful countryside and coastal beach resorts. 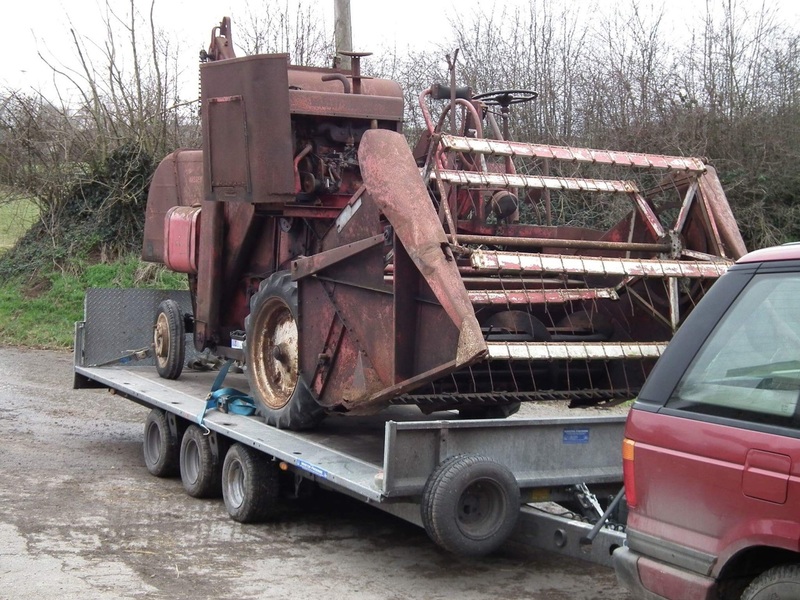 Although a very busy man Tim has always put aside time for restoring various implements and tractors and in 2011 Tim came upon a Massey Harris 735 bagger combine that to be honest had seen far better days and was just waiting for the gas mans axe to be sent to recycling and yet another piece of agricultural history lost forever!. 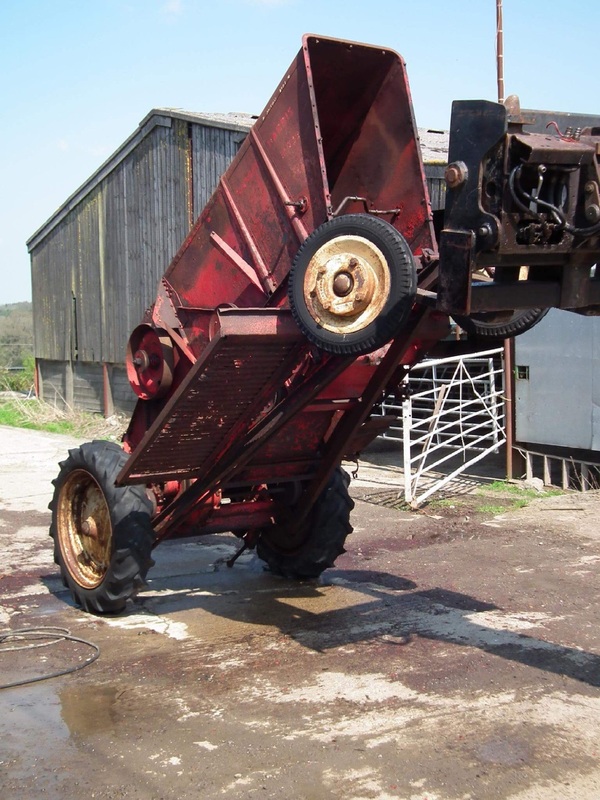 So Tim took on the challenge of restoring this combine to its former glory with sweat and tears and all the other emotions that come along when attempting a massive task like this. Tims Massey 735 as she arrived at his home. The wheels and old tyres left on to enable easier movement around the yard. The very early stages of paintwork! When you finally get to this stage you feel it is somewhat a milestone reached already! But the journey is a very long one indeed. 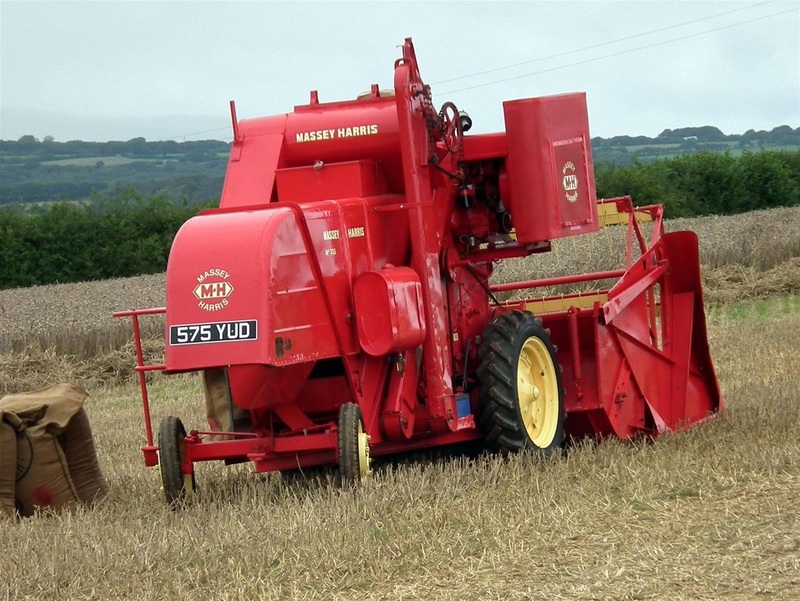 After many months of painting sanding and replacing all of the pulleys belts chains and guards Tims combine was reborn into a fine example waiting for its new life to be taken to local shows and working days in his area and cutting a small acreage at home if time allowed. Tims combine is a 1957 model and probably one of the last Massey Harris models sold before the emergence of Massey Ferguson in 1958. 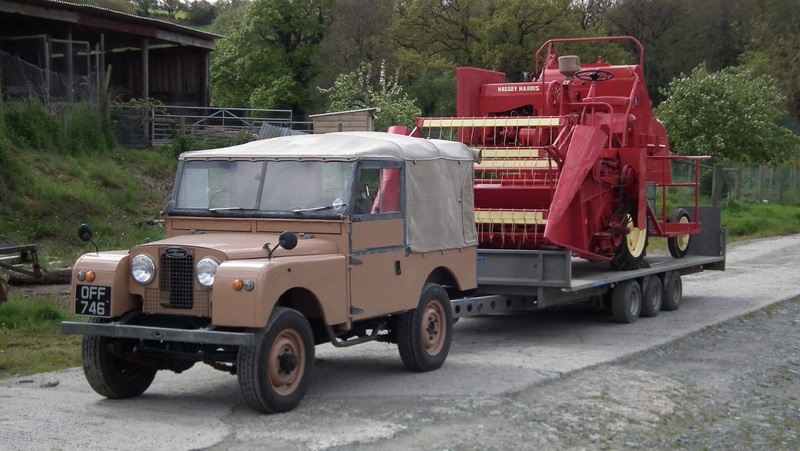 It has a ut a BMC petrol engine, many had the conversion to TVO by Newage this engine was similar to those used in the Morris oxford vans, rated at 23hp. 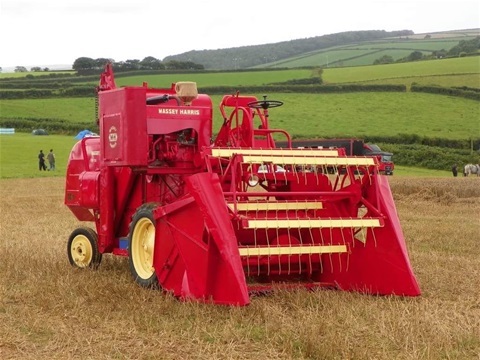 Interestingly at the time of the rebranding to Massey Ferguson in 1958 many unscrupulous dealers sold the Massey Harris models with later Massey Ferguson badging to benefit from better resale value! and sold as later models. This 735 model followed on from 1956 from the very first european built models the 720 and 726 the 722 was only built for one year, and the 735 was eventually phased out in 1962. Tanker versions of these models were quite rare at this time, as farms could handle the bags better, and very few farmers could handle bulk grain, but times were rapidly changing and tank kits were available from Massey and within a few short years most new combines would be tanker only! Times were rapidly changing. within a short few years the larger models came along like the 400 and 500 series but at this time smaller arable growers were happy with this new self propelled harvester concept. 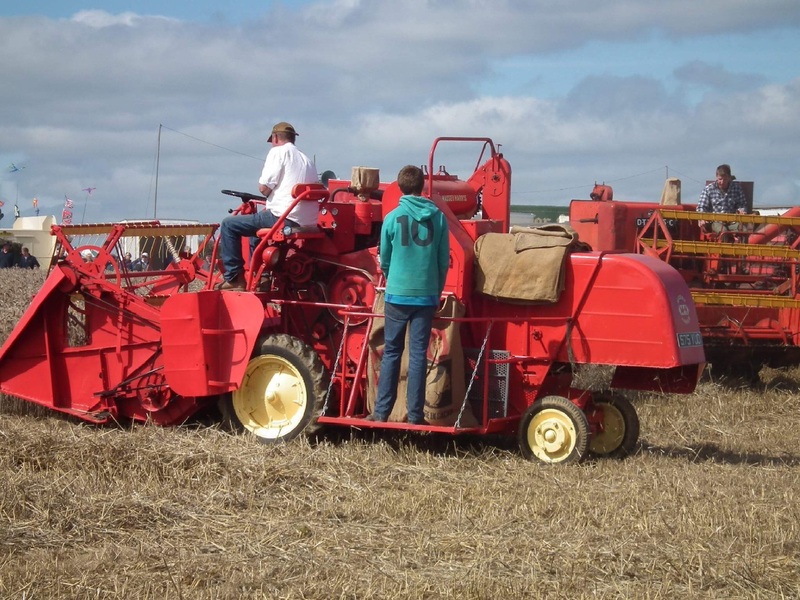 The completed combine seen here at its first working event. This is a top quality restoration job and one to be rightly proud of. On the way out to yet another working event Tims 735 is very well known in his part of the country. Tim and his 735 in action at a Devon show! 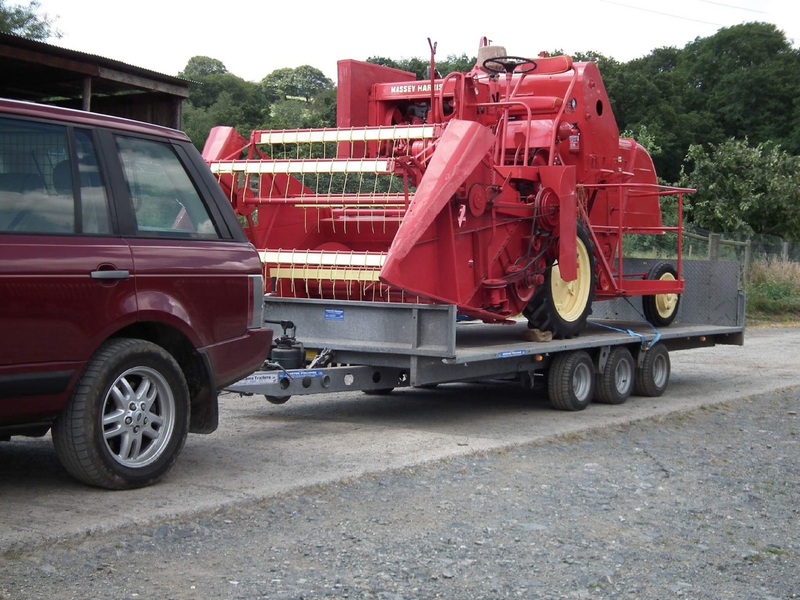 A nice period recreation here of a T20 and Massey trailer loaded with the grain sacks from the bagger combine on its way to the farm. 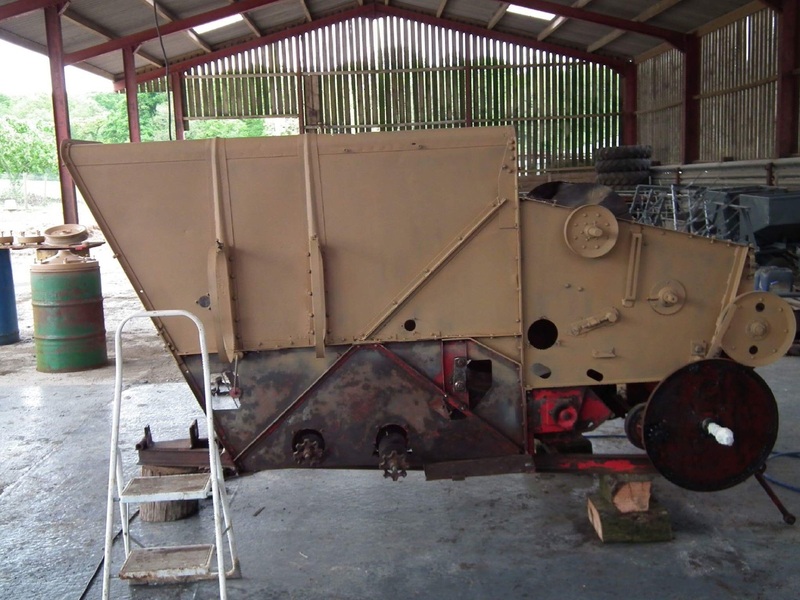 Excellent restoration, and it's been said before on yellowswirl but worth repeating that thanks to individuals like Tim we have rare working models that we can see in action and not consigned just to the history books. To think that the restoration was achieved without the use of any operators manual or parts book is quite an achievement indeed.